Brown flaxseed may be substituted for golden flaxseed. In a bowl, combine flour, oat bran, ground flaxseed, flaxseed, baking soda and salt. Drizzle with canola oil; mix well. Then work with hands as for pie dough to a crumbly texture. In another bowl whisk together buttermilk and egg. Add to dry mixture. Mix to form a ball of dough. * Knead about 20 times. On a lightly floured countertop, roll dough to 12 x 18 inch (30 x 45 cm) rectangle. Cut into 2 x 2 inch (5 x 5 cm) squares for a total of 54. Place squares on large baking sheet that has been sprayed with a non stick cooking spray. Prick tops a few times with a fork. Bake 12 minutes or until lightly browned. After cooling, store in an airtight container. Yield: 54 – 2 x 2 inch (5 x 5 cm) squares. Serving Size: 2 squares. Each serving contains 1/2 tsp (2 mL) of flax. Dough should be soft but not stick to your fingers. If dough is too wet, work in flour 1 Tbsp (15 mL) at a time. If dough is too dry, add buttermilk 1 Tbsp (15 mL) at a time. 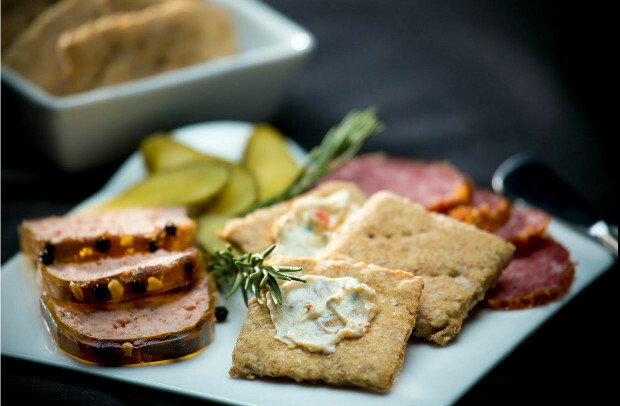 Crackers can be stored in an airtight container for up to 3 days or frozen for up to 3 months.